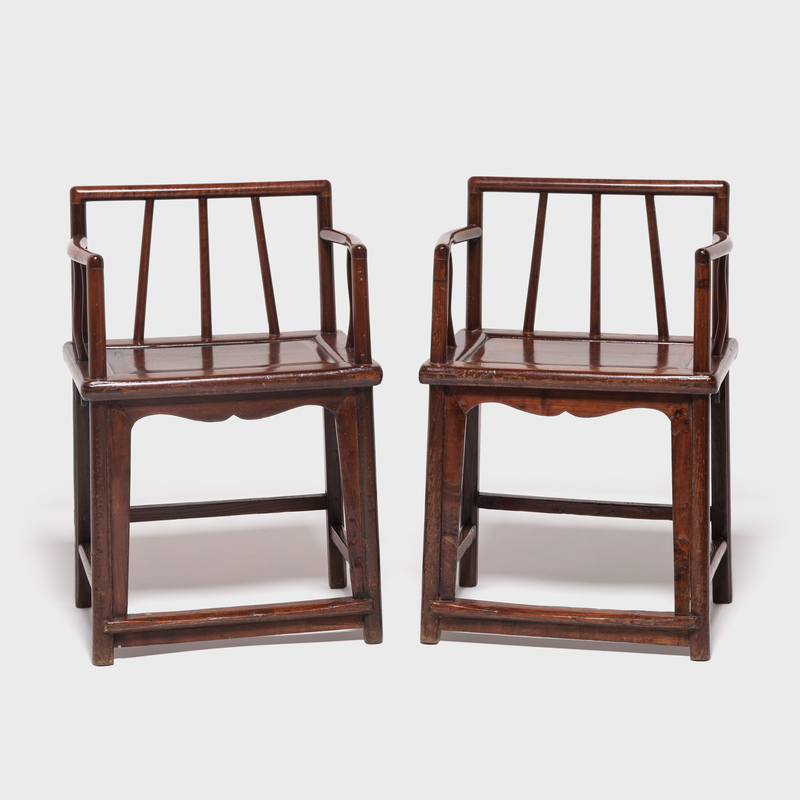 W: 22.0" D: 18.0" H: 46.0"
This pair of tallback chairs is a beautiful example of traditional Qing-dynasty forms. 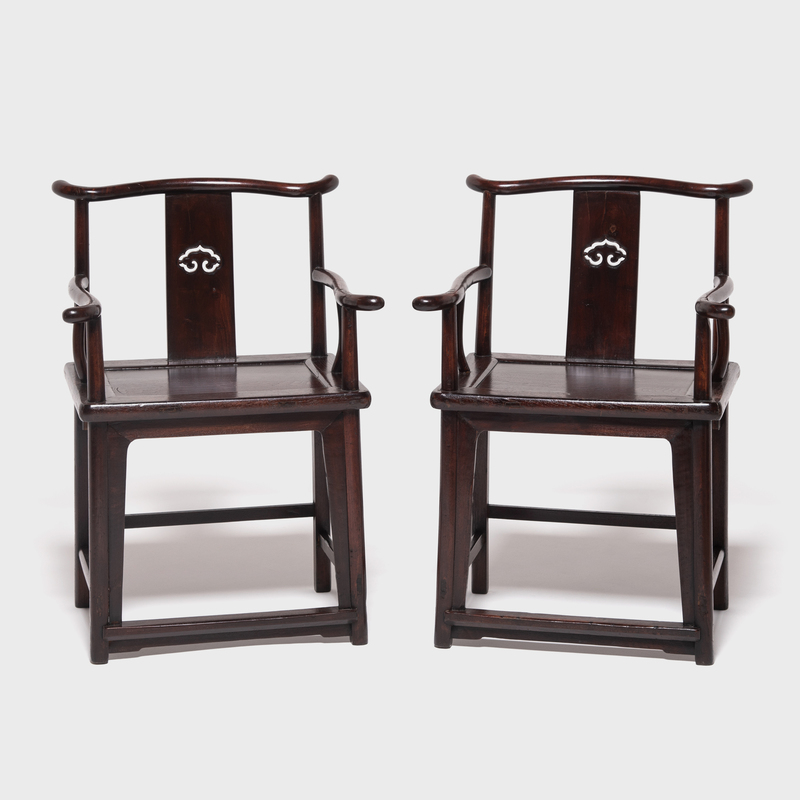 Known as official's hat armchairs, these chairs are named for the protruding ends of their top rails and arms, which bear resemblance to the hats worn by Ming-dynasty officials. 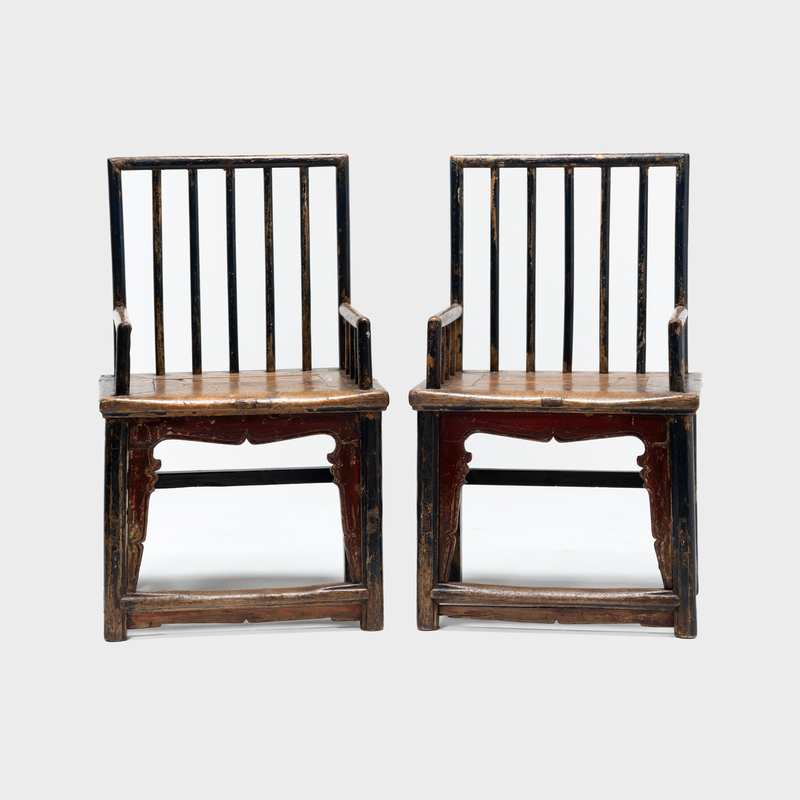 Their sculptural form is considered to be the grandest of all Chinese chairs. 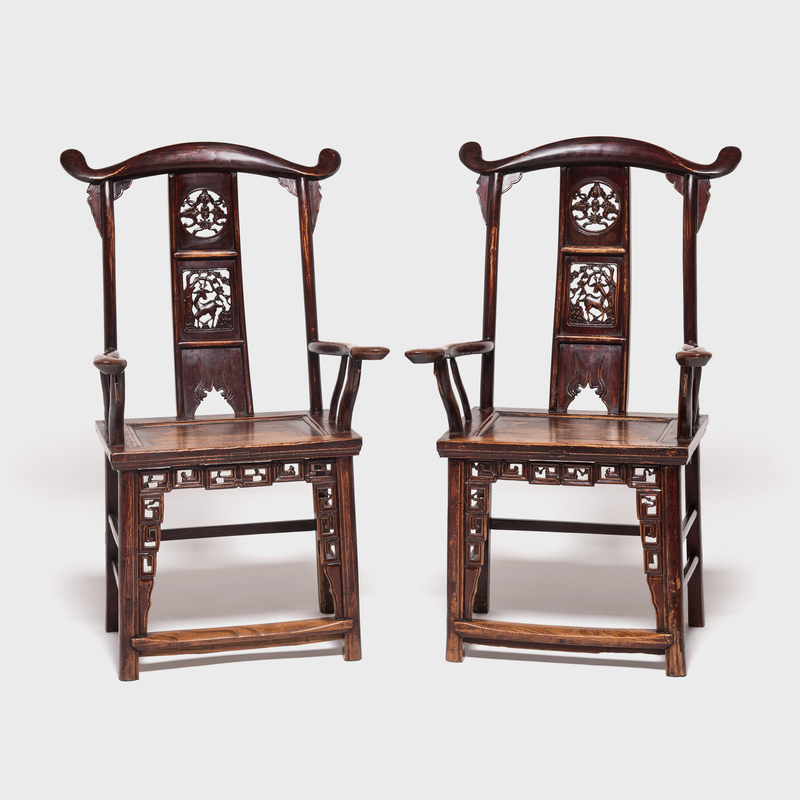 This pair features gently sloping spandrels and a caned top woven by hand in a refined and ancient technique. 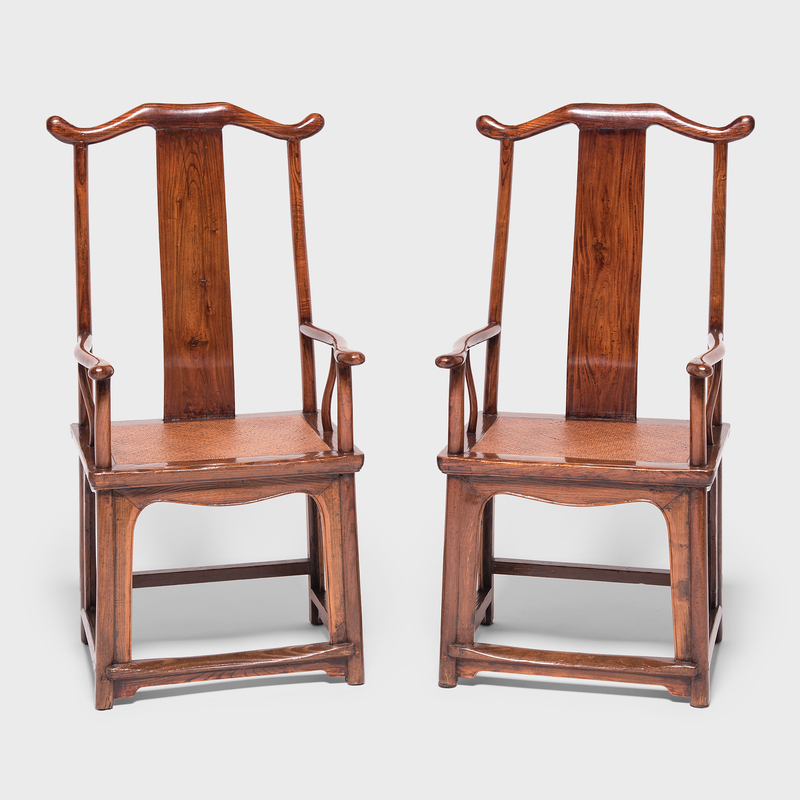 There has been restoration to the original finish, but the pair retains the lustrous color of the elmwood construction.